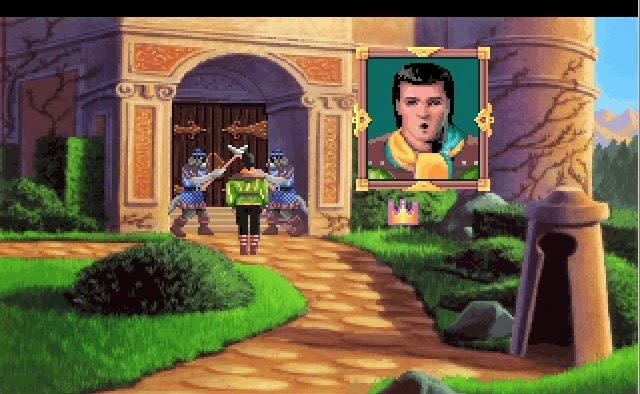 This track plays during the opening sequence to King's Quest VI aka Heir Today, Gone Tomorrow (Sierra really loved their puns hey?). I don't know why this particular track sticks in my memory; maybe because the music was such a perfect fit for the seagull which features in the cinematic? Or maybe because the cinematic looked so awesome, at least for a game made in 1992. Unfortunately, when I tried to view the cinematic in my GOG version of the game, the animations in the video suffered from pretty horrific stuttering so it makes it impossible to enjoy. Oh well, can't have it all I guess? Apparently this track only features in the CD-ROM version of the game which is the one I originally played. Chris Brayman is also a familiar name on the Choicest VGM list as he was also composer for the Quest for Glory II soundtrack. Way to go Chris Brayman!